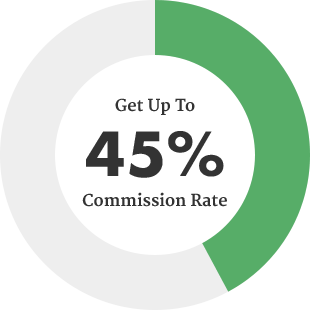 Earn up to 45% commissions with ProteusThemes affiliate program. Join us today! Let’s join forces! Make money promoting some of the best supported and highest code quality WordPress themes available. Join our affiliate program and earn commission from the clients you refer to our site. To join, please write an email to jaka (at) proteusthemes (dot) com and include a short pitch where, when and why you want to promote our themes. Sign up in 30 seconds with Impact Radius account! If you have ever worked as an affiliate, there is a big chance you already have an account on ImpactRadius affiliate system. Watch the video and see that registration takes literally 30 seconds. Why else you should join? You earn 30% - 45% of Net Sales Amount. - If the number of monthly actions reaches 3, payout rate will be 35% for that month's actions. - If the number of monthly actions reaches 10, payout rate will be 40% for that month's actions. - If the number of monthly actions reaches 50, payout rate will be 45% for that month's actions. A visitor must purchase within 90 days of referral. All actions happening on the same day are locked 31 days later. Approved Transactions are paid on the 15th day of the month. Payout applies to the initial transaction only of return customers. You get the commission from that purchases too.